The Beginners Guide to Electronic Cigarettes - How to? E smoking or vaping as it may be referred to is a phenomenon sweeping the globe as more and more people are turning away from traditional tobacco cigarettes and towards e cigarettes, ecigars or an electronic pipe. An e cigarette is the device used during e smoking. The e liquid is heated by an internal battery which turns it into a vapour which may be inhaled. An e cigarette is the alternative to a regular cigarette. It is a device which is used to produce a flavoured vapour which is inhaled and exhaled by e smokers. The vapour is produced by a battery which heats the chosen e juice. What is E Liquid / E Juice? All e liquids are slightly different dependent on the manufacturer. They do all contain a base product, usually Vegetable Glycerine ( Glycerol ) and or Propylene Glycol, flavourings, nicotine in varying amounts and water. There are a vast number of flavours for e smokers to enjoy. E liquids come in vials or small bottles with a lid. All of our best flavours are available in our eLiquid and our prices are so affordable you can mix and match. We are also proud that our sweeter combinations banish those cravings that most people worry about when giving up the cigarettes. What is the Best E Liquid? This question is the same and will receive the same numerous responses as "What is the best ice cream flavour?” Which e liquid suits an e smoker best will depend entirely on their own likes and dislikes, how strong they like their smoke to be and what flavours they enjoy. With sweet flavours such as caramel or chocolate, drink-tasting flavours including alcoholic flavoured ones, tobacco flavours which span a number of tobacco brands, fruity ones and more it is safe to say that there is plenty to choose from. When researching the "best" e liquid for yourself it is important to consider the nicotine level you choose. E liquids come in a variety of strengths and choosing one which is too strong for you could make you feel quite dizzy and sick. High nicotine e liquids will contain 18-26mg of nicotine where as low strength ones just 6-11mg. There are also nicotine free alternatives available. Are E Liquids Safe to Use and Handle? As with most things, when used carefully and according to the instructions provided by the manufacturer e liquids are perfectly safe. They do of course contain nicotine however which could in some doses prove highly dangerous to children. It goes without saying that keeping e liquids and all associated e smoking away from children in the same way that traditional smoking paraphernalia would be is imperative. Exploring the many different e cigarettes and e liquids available when smoking is part of why people find it so appealing and with so much variety there really is something for everything. Choosing a high quality delivery device (the e cigarette) and e liquids from a recognised retailer is always the most effective way to ensure you get the very best out of your e smoking experience. 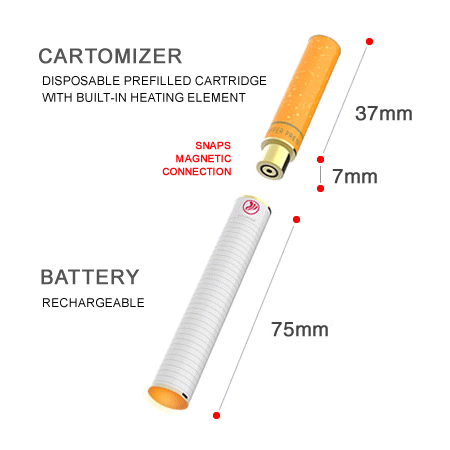 With the e cigarette market growing globally at an amazing rate it stands to reason that e smoking will have its own cult language in the same way that tobacco smoking has. Experimenting with different e liquid flavours, using alternative e cigarette types and looking at customising your new smoking choice with accessories are all part of what makes e smoking so popular. E juice or E Liquid is the name of the product from which the vapour is produced. Usually the e liquid will contain a base such as Vegetable Glycerine ( Glycerol ) and or Propylene Glycol, nicotine (or not if desired), water and flavourings. Smoke juice is another name for the same product which comes in a great number of flavours. More experienced e smokers might steep their e liquids in order to increase the intensity of the flavours they offer. The idea is to leave your e juice with the lid off for at least a week if not more in a cool and dark place while the e juice matures. It may be a trial and error experiment and work better with certain e juices however it is worth a try if you wish to enhance the flavour and potency of your e smoking. Anyone familiar with conventional smoking will recognise the "hit" you feel when inhaling a cigarette. The pleasurable feeling in the back of the throat is as present in e cigarettes as it is in tobacco ones. It may occasionally be referred to as a throat kick. While some of the terms associated with smoking e cigarettes are different and what is inhaled and exhaled certainly differs from tobacco smoking many would say that e smoking is as enjoyable if not more enjoyable than conventional smoking. Committed to offering the highest quality products across all ranges ePuffer are on hand to help and advise you to ensure you have everything to need so that you may enjoy a truly personalised e smoking experience.